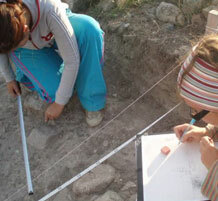 It is very important in the formation of a good archaeologist well known archaeological methodology. Fundamental to an archaeologist dominate the structure drawing, as this allows us to study in detail the buildings found. 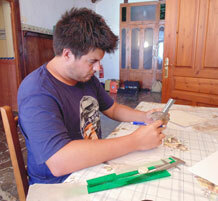 Drawing and pottery studio is important to know and deepen the archaeological studies and publish quality results. 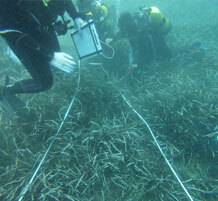 The work at sea is very different ground so it is necessary both to dominate the characteristics of underwater archeology as their own technical diving.